Breast Clinic - ...turning the mortality rate into the survival rate. 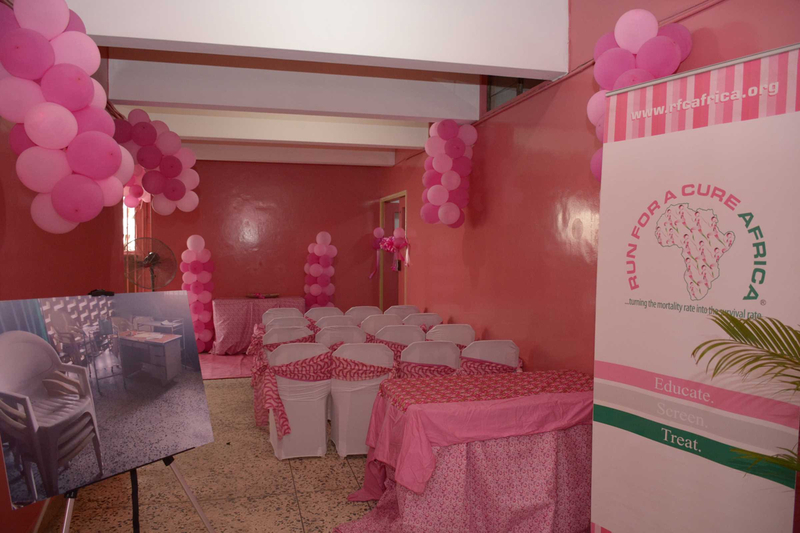 On March 8, 2016, Run For a Cure Africa launched the ﬁrst one stop breast clinic in Lagos, Nigeria. A signiﬁcant ﬁrst for Nigeria, The Breast Clinic is ground-breaking, its provision of services for the women of Lagos State and beyond. Women will be able to seek diagnosis and treatment in one clinic for the ﬁrst time. Providing a regular, reliable specialist Breast Care Team in a clean, safe and newly renovated environment. The new clinic is also host to a new Patient Navigator programme which will provide ongoing personal support to RFCA’s Pink Fighters throughout their treatment and beyond. Helping them navigate their way through the often scary and overwhelming treatment of breast cancer. To learn more, please call 0817 000 1235.